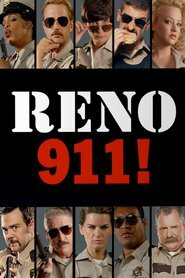 Living… in Reno, Nevada – the “Biggest Little City in the World!” Jones is described by his colleague Lieutenant Dangle, as a "a big, hardworking, robust, sort of mocha-ish person." Profession… longtime member of the dysfunctional Reno Sheriff's Department. Jones is usually partnered with Deputy Garcia, whose steady stream of racist remarks once caused him to punch Garcia in the face. Interests… fast food tacos, singing, and dancing. His signature move is the “Tom and Jerry,” and he has been known to bust it out in dance battles with people he is about to arrest. Relationship Status… making booty calls to Deputy Williams when his hunt for a one-night stand comes up short. Challenge… rebuffing the relentless sexual advances of Lt. Dangle. Dangle, who is gay, has a crush on Jones, and once invited him over “to help him move.” Jones was the only person invited. Though he’ll “try anything once” he just isn’t interested: the man has dance battles to get to. Personality… superficial, shallow, and flirtatious. Jones lives to leverage his status as police officer to help him bring women home. Ladies love a man in uniform, and Deputy Jones’s life revolves around taking advantage of that. S. Jones's popularity ranking on CharacTour is #4108 out of 5,000+ characters. See our top-ranked characters and read their profiles.